Do you run baby or toddler classes? – list your classes here to spread the word. Lovely class, Amanda’s a dote. We enjoyed every second! 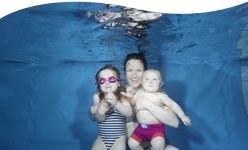 An excellent introduction to swimming for little ones! Please do contact us with reviews or comments – Hello@BabySplash.ie.